Have you even had a childhood if you haven’t read Tinkle even once? Who doesn’t remember Tinkle? This cover brings back the fondest memories from our childhood. Ranveer Singh, too, grew up reading Tinkle Comics. Today, he is on the cover with his favourites. 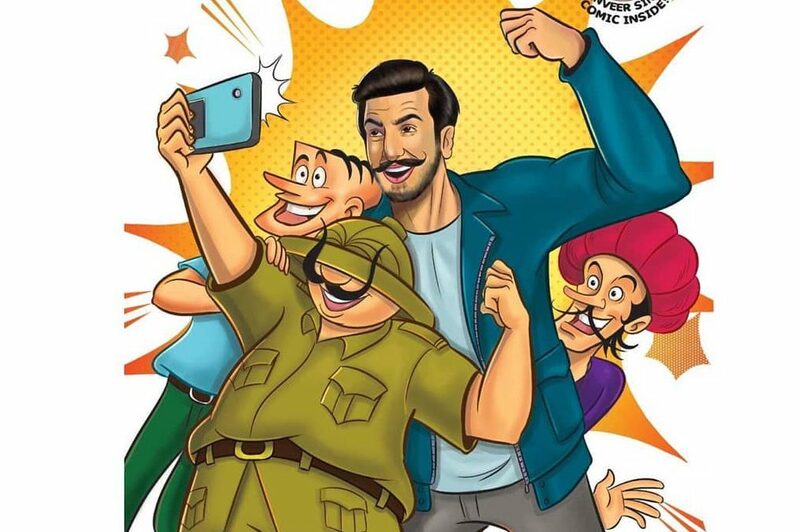 Suppandi and Friends meet Simmba! “I have to pinch myself to see if I’m dreaming. This is one of the fondest memories from my childhood. I grew up reading Tinkle Comics. Can’t believe I’m on the cover with SUPPANDI AND SHIKARI SHAMBU!!!!!!!!!!!!!!!!!!!! I mean ……. I can’t even ……….” captioned an elated Ranveer Singh with a lot of hearts in the post. According to reports, the magazine that’s set to be on stands on 17th January would have an exclusive interview with Ranveer and also his wife Deepika Padukone. Read all about Ranveer Singh’s adventures with your favourite Tinkle toons in the January issue.